Thiocolchicoside(4 Mg) Uses Thiocolchicoside is used (as an additive treatment) for relieving painful stiffness or constriction in various diseases of the muscles, nerves, spine and the joints. How it works Thiocolchicoside belongs to group of medicines called muscle relaxant. It is semi-synthetic derivative of naturally occurring compound colchicoside. It acts against chemical called gamma amino-butyric acid (GABA). It reduces the swelling (anti-inflammatory) and pain (analgesic), and relaxes the muscles. 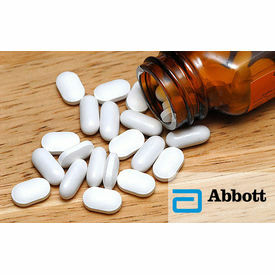 Dosage Always follow the instructions of doctor regarding the dosage and duration. For treatment of muscle spasm: Adults and adolescents over 16 years: 4-8 mg twice daily or up to 16 mg per day. The treatment duration is limited to 7 consecutive days. Note: It is available as tablet form with drug aceclofenac (non-steroidal anti-inflammatory drug). Common side effects Urge to vomit (nausea), sleepiness (somnolence), weakness (asthenia), allergy, and brief loss of consciousness due to unexpected emotional or physical stress (vasovagal reactions). Who should not take Do not take thiocolchicoside if you are allergic to it or to any of the other ingredients of this drug. Itshould not be used in children and adolescents below 16 years of age. It is contraindicated during the pregnancy period, breast feeding, and in women of childbearing potential not using contraception. Thiocolchicoside(4 Mg) Uses Thiocolchicoside is used (as an additive treatment) for relieving painful stiffness or constriction in various diseases of the muscles, nerves, spine and the joints. How it works Thiocolchicoside belongs to group of medicines called muscle relaxant. It is semi-synthetic derivative of naturally occurring compound colchicoside. It acts against chemical called gamma amino-butyric acid (GABA). It reduces the swelling (anti-inflammatory) and pain (analgesic), and relaxes the muscles. Dosage Always follow the instructions of doctor regarding the dosage and duration. For treatment of muscle spasm: Adults and adolescents over 16 years: 4-8 mg twice daily or up to 16 mg per day. The treatment duration is limited to 7 consecutive days. Note: It is available as tablet form with drug aceclofenac (non-steroidal anti-inflammatory drug). Common side effects Urge to vomit (nausea), sleepiness (somnolence), weakness (asthenia), allergy, and brief loss of consciousness due to unexpected emotional or physical stress (vasovagal reactions). Who should not take Do not take thiocolchicoside if you are allergic to it or to any of the other ingredients of this drug. Itshould not be used in children and adolescents below 16 years of age. It is contraindicated during the pregnancy period, breast feeding, and in women of childbearing potential not using contraception.